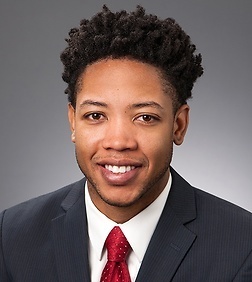 Alexander K. Robinson is an associate in the Real Estate, Land Use and Environmental Practice Group and is a member of the Construction Team in the firm's Los Angeles office. As a part of the Energy, Infrastructure, and Project Finance, Alexander represents companies engaged in the development, construction, financing, acquisition and disposition of solar, wind and other alternative energy projects. Alexander’s real estate and construction practice includes providing legal and strategic counsel in connection with a broad range of matters ranging drafting from purchase and sale agreements and leases, to prosecuting bid protests. In addition to his infrastructure practice, Alexander is very engaged in the community. His pro bono practice includes impact litigation in collaboration with the American Civil Liberties Union, supporting nonprofits develop accessory dwelling units, and providing immigration services to indigent youth. Alexander is on the Board of Directors of Crete Academy, the Housing Rights Center, and Restore Neighborhoods Los Angeles. Domestic solar energy developer; $160M term-convertible construction debt and tax equity financing for a 160 MW solar generation facility in Georgia. Global wind energy developer; $240M tax equity financing for a 306 MW wind generation facility in Illinois. Global wind energy developer; $158M tax equity financing for a 201 MW wind generation facility in Texas. Domestic solar energy developer; $60M tax equity financing for a portfolio of wind generation facilities.